way back in may and june i mentioned that i was a guest judge for one of JPG magazine's photo challenges, the one that featured wardrobe_remix as it's theme. perhaps some of you remember...? the issue featuring my selections hit the magazine stands back in july. 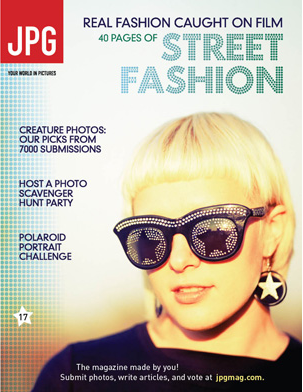 the article was in their superb street fashion issue (#17)! thanks to all the fine folks whose photos i selected, who made it into the final cut of the magazine! several of those featured in the article are wardrobe_remix contributors, and others are just cool people who clearly know how to wield a camera well (and have cool personal style!). 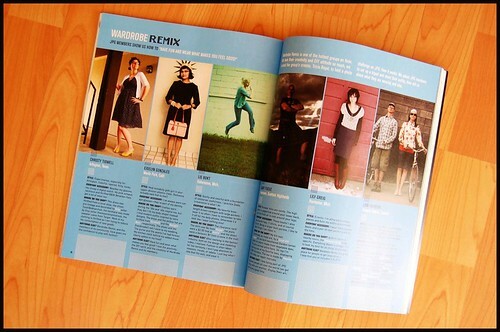 special thanks to those who in turn called out wardrobe_remix in their accompanying interviews. thanks, guys! and of course, thanks again, JPG magazine!